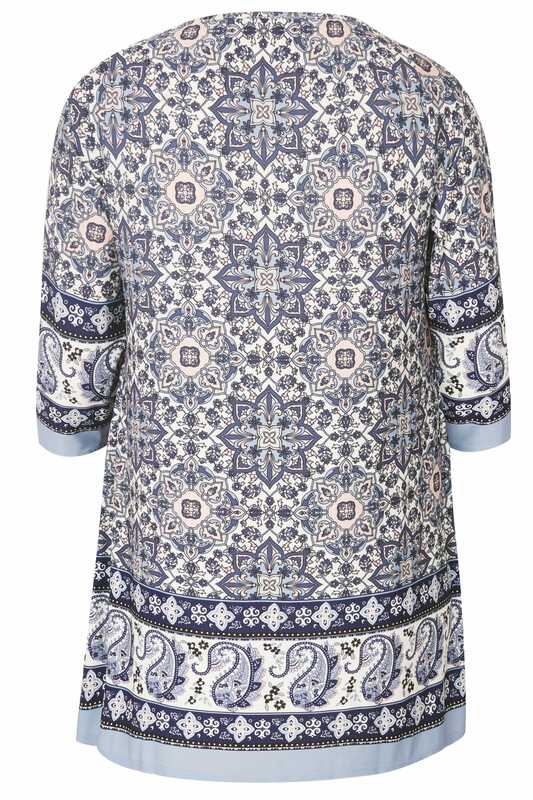 Front length from (approx): 82cm/32"
Back length from (approx): 80.5cm/31.5"
Timeless and chic, this tile print top is perfect for relaxed days. In a flattering longline design, it is complemented with 3/4 length sleeves and a keyhole notch neckline. Team with a pair of blue denim jeans and espadrille sandals to finish the look. 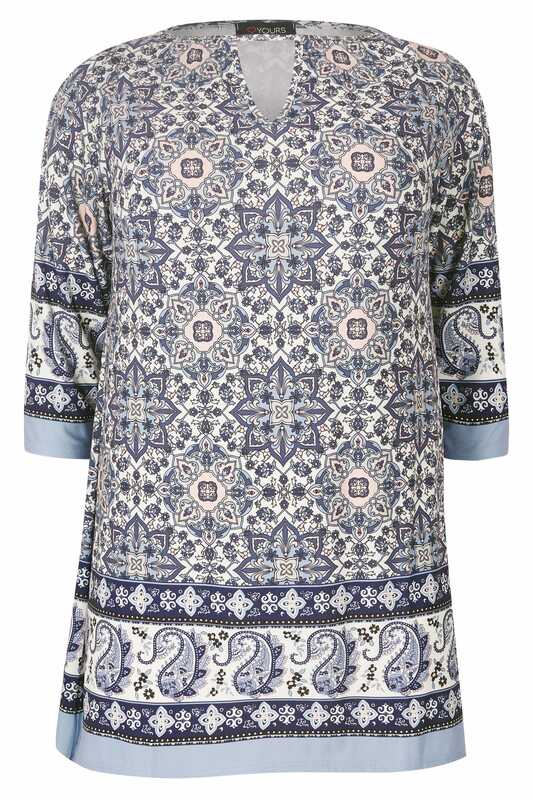 A strong option for daytime wear, we are loving the all over tile print and the border hem.